She has interests in political, pluralised and national identities, social movements and possibilities of social change, emerging representations of global gender relations and global gender regimes, as well as shifting representations of sexual politics in late modernity. Rosdahl received a first class honors for her thesis ‘Gay Club Culture: (En)acting, (Per)forming Sexuality’. This is an ethnographic study which investigates the ways gender identities are enacted and performed and how bodies become arenas for the expression of sexual desire. Influenced by the work of poststructuralist gender theorist Judith Butler, Rosdahl’s work brings to light complex accounts of gender performativity through a range of theories including sexed embodiment, heteronormativity, normalization, gender transgression and relations of power. Rosdahl completed her PhD in 2013. Her Doctoral dissertation ‘Sculpting the Woman: the Relationship Between Muscularity and Femininity’ employs a feminist genealogy that locates the muscular woman within a history of overlapping rules and practices of femininity. 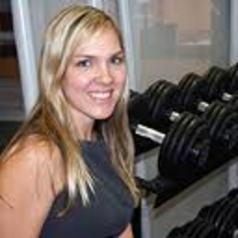 Her research investigates the performance of women’s experiences of building and sculpting muscle. It exposes the ways in which the very thinking of what is possible for a female body is foreclosed by discourses that construct, regulate and denaturalise the muscular female body. (1)Foucauldian, Feminist and Queer Theory - Specialising in Butlerian Performativity theory, her research explores how gendered forms of corporeal performance, identity and sexual desires are produced through relations of power. Drawing on thinkers such as Foucault, Rosdahl links techniques of the self with identity formation as interrelated cultural matrices of institutional and psychic practices. (2) Political Sociology and Gender - As a social theorist, scholar and teacher she focuses on how new forms of cultural and social practices are generated from larger social, cultural, economic and political transformations and processes. Drawing on thinkers such as Bhaba, Kearney, Spivak and Butler, Rosdahl explores how global processes operate to configure possibilities of fantasy, fear and desire that impact on what it means to be a man or a woman at local and global levels. A key aspect of her research focuses on how the dispersal of cultural forms across regional and national boundaries are shaping gendered subjectivities and ideas about ‘difference’ and ‘belonging’. (3) Urban Sociology and Gender – Rosdahl has pursued research on urban-based youth and drinking culture, gay and lesbian, trans and intersex subcultures, as well as classroom-based experiences of young refugee women in Queensland’. (4) Social Research – Rosdahl has carried out ethnographic fieldwork on gay/ lesbian and intersex club-culture as well as on female bodysculpting with special interest in the construction and performance of corporeal gender identity formation. She is also teaching social research methods at USC including feminist and poststructuralist research methodologies, ethnographic and autoethnographic research methods and Foucauldian genealogical discourse analysis. Rosdahl was awarded the Vice-Chancellor’s Medal for outstanding contribution to Teaching and Learning in the Social Sciences in 2011. She was also the winner of the Dean’s Award for outstanding contribution to Student Learning for her work with undergraduate students in 2010. Rosdahl also writes on classic and contemporary social theory, which flows in part from her undergraduate teaching of classic and contemporary social theory. Rosdahl is a member of the Australian Sociological Association (TASA). Her teaching and research address various aspects of gender and political sociology, sexuality, gendered and ethnic minorities and nation with a particular focus on the social and sexual politics of bodies, urban sociology, human rights, and gendered citizenship from intersectional perspectives.